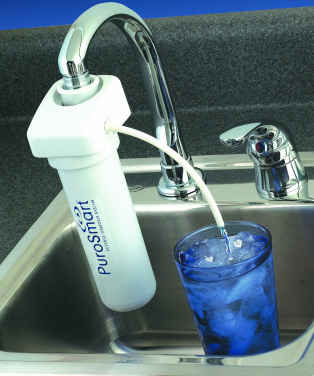 PuroSmart Faucet-Mount RO System - Countertop Reverse Osmosis System | Applied Membranes Inc. 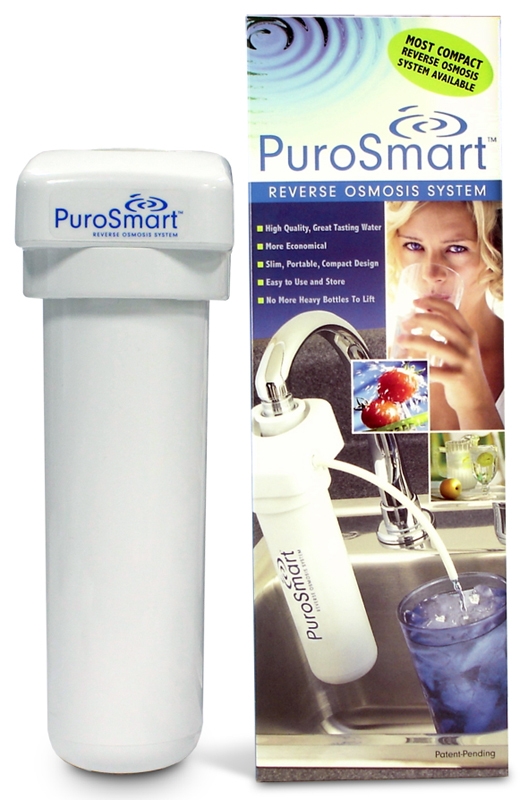 The PuroSmart Faucet Mounted & Countertop Reverse Osmosis System will produce up to 50 gallons per day. 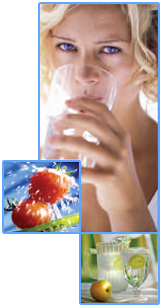 The PuroSmart Reverse Osmosis System uses the most advanced water treatment technology available. Reverse Osmosis is recognized as one of the best available technologies for removing the widest range of contaminants found in water. 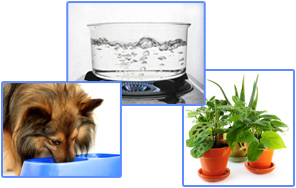 It is also the same method used by many bottled water companies to make safe and great tasting drinking water. High quality, great tasting water, available for just pennies per gallon! 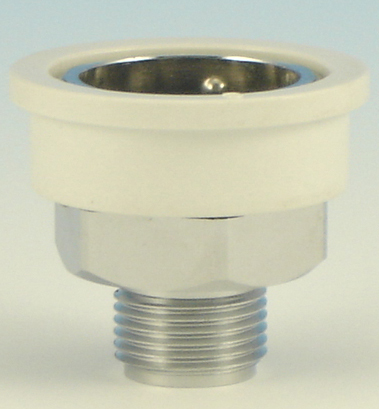 For direct installation onto faucet. It is easy to use, just replace the aerator on your kitchen faucet with the one provided with the PuroSmart. To connect the system just press down on the white ring and push the system firmly on the faucet. A clicking sound lets you know the system is attached a ready to use. 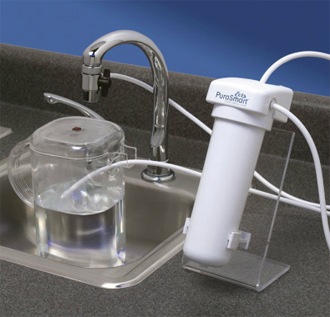 Once the PuroSmart has been throughly flushed, place a clean container in your sink and insert the tubing from the top side port of the system into your container. Simply turn on your faucet and your PuroSmart system will deliver high quality water for your entire family. PuroSmart Compact RO Systems are also available in counter-top configuration. To use, simply replace the aerator on your kitchen faucet with the divertor valve provided with your PuroSmart CounterTop Unit. Mount the PuroSmart on the plastic stand provided and make the connections as directed in the installation guide. 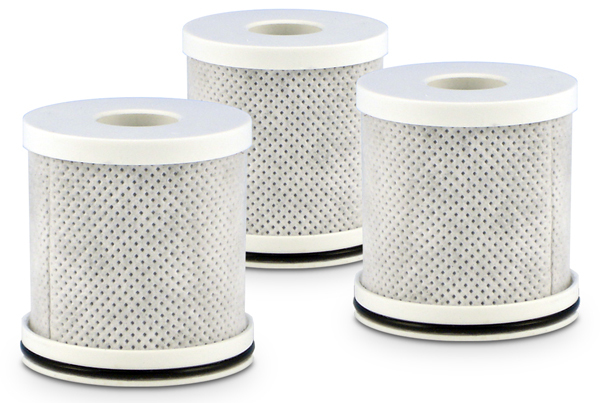 Filter replacements to last one year of water purification. Additional replacment components and One-Year replacement packs are listed in the "Parts" tab. Rated membrane life 1 year. Membrane life varies based on feed water quality and usage. Product water should be tested periodically to ensure membrane performance. The RO membrane should be replaced every 6 months to 2 years. Threads into the top of the system housing, for faucet-mount connection to the aerator. Threads onto the faucet, for connection to the PuroSmart System Coupling for faucet-mount. Threads onto the faucet, for connection to PuroSmart system feed tubing for countertop systems. 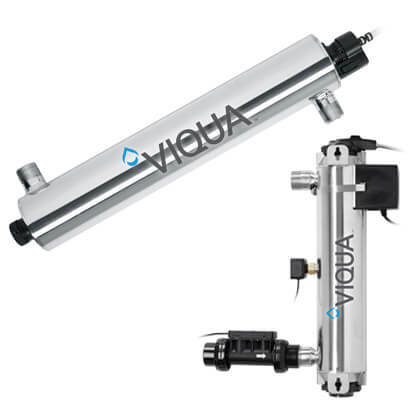 Designed for use in PuroSmart reverse osmosis systems to restrict the flow on the drain (reject) line, keeping the membrane pressurized and controlling the recovery ratio of the system. 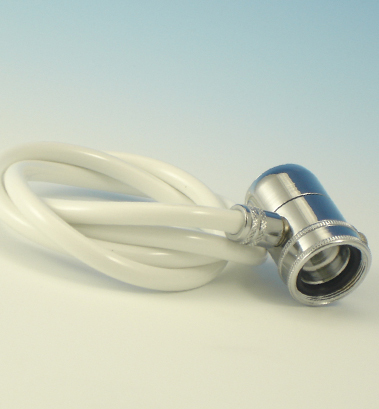 Includes Replacement Flow Restrictor Installed into apush-in Elbow Fitting and 1/4" Tubing. 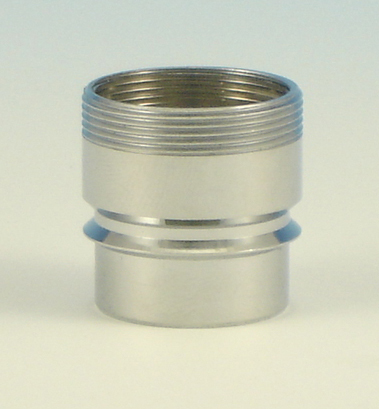 The assembly for the countertop system comes with a longer length of tubing than the faucet-mount assembly. 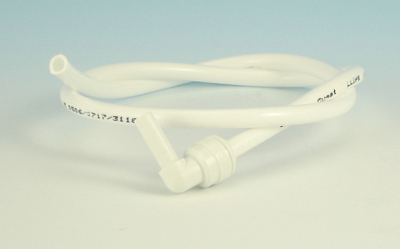 It is recommended that the flow restrictor is replaced each time an RO membrane is replaced in order to keep your system working at optimum performance, as scale build up can occur and clog the capillaries. Additionally, if changing to a different flow-rate membrane element, the flow restrictor must be changed to the appropriate size as well.